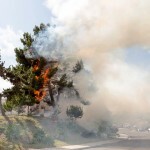 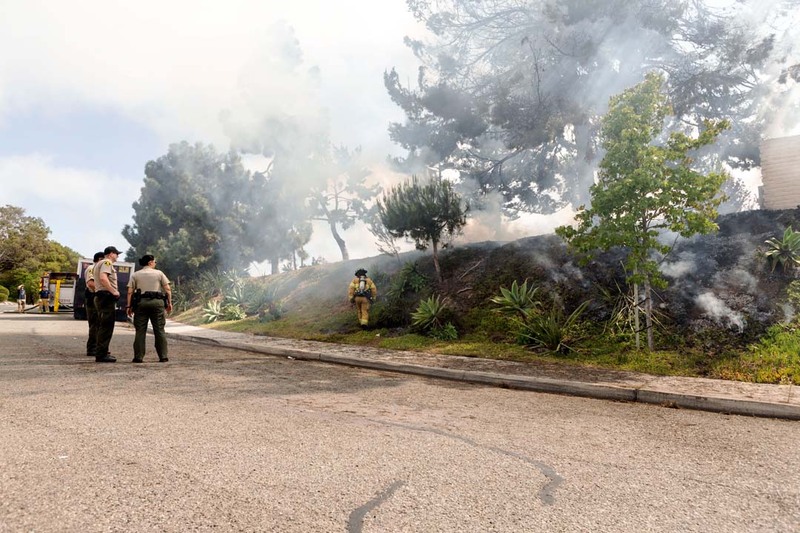 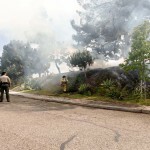 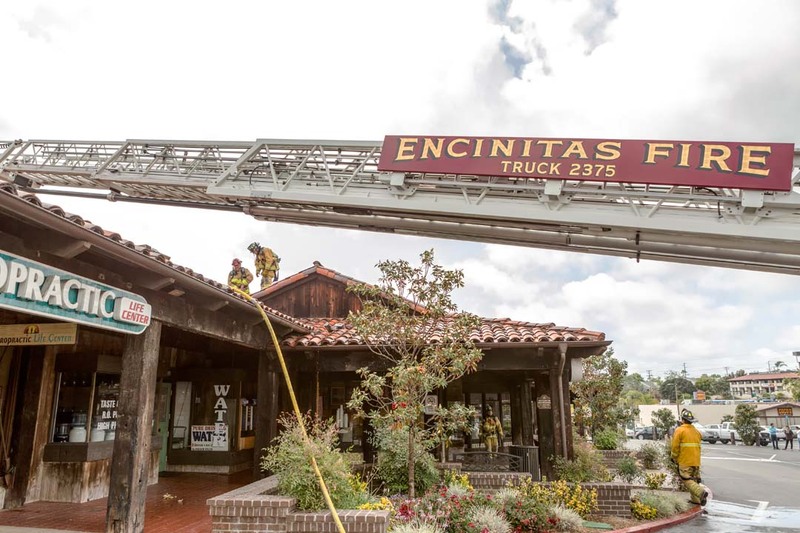 ENCINITAS — A single unit from the Encinitas Fire Department responded initially to a report of a tree on fire around 3:30 p.m. on Sunday in the parking lot of the San Dieguito United Methodist Church. 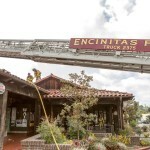 Though when the unit approached and saw it was more than just a tree on fire, extra units were called in, according to Encinitas Fire Department Battalion Chief Mike Spaulding. 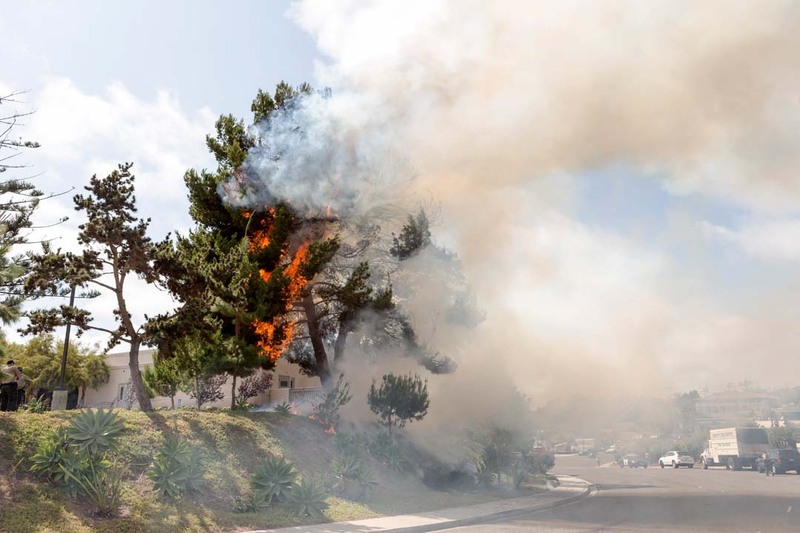 Nine units would respond to the scene. 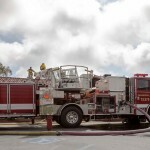 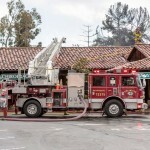 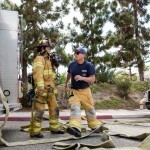 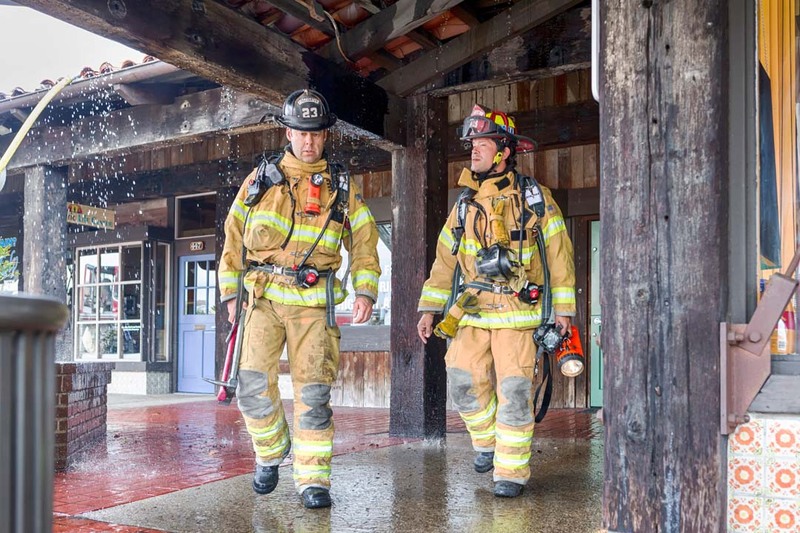 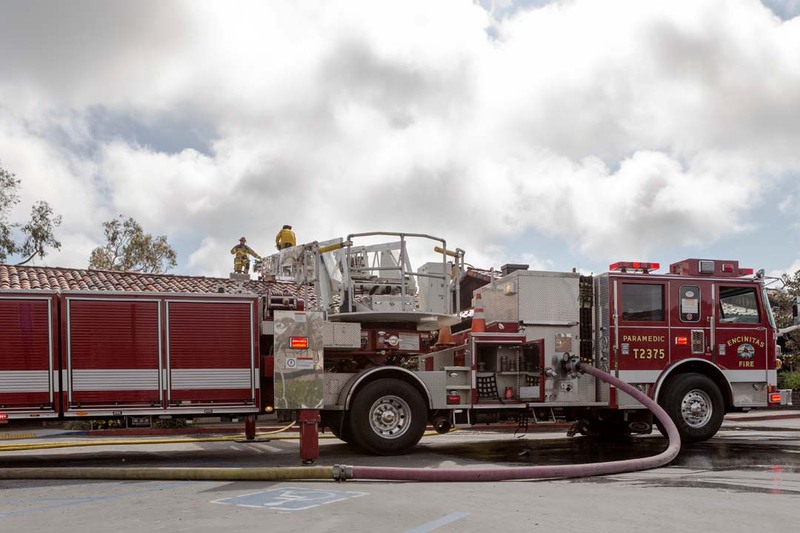 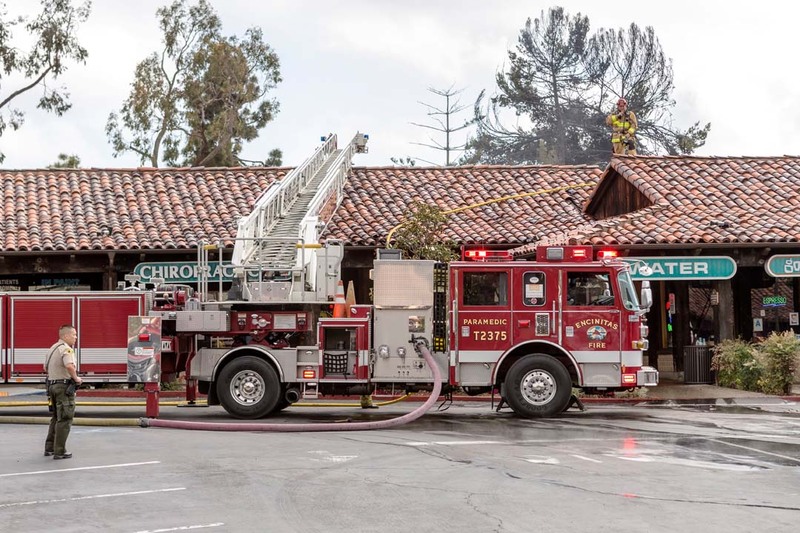 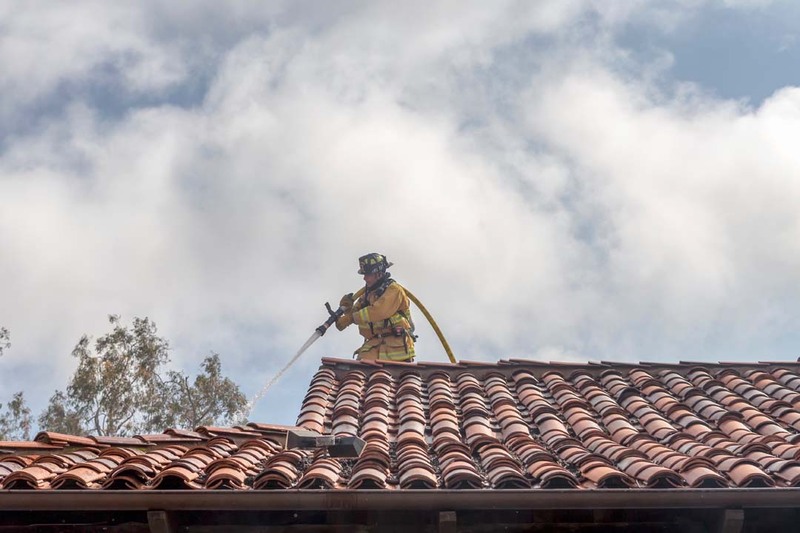 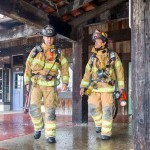 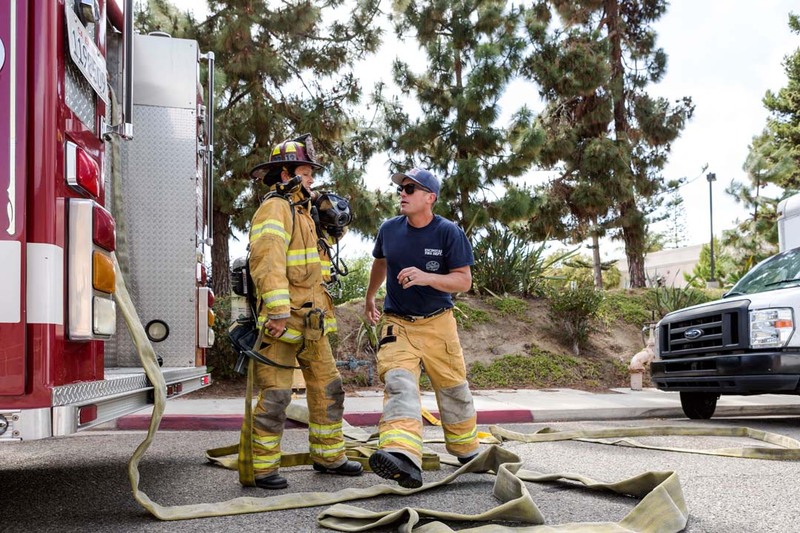 The fire, which had spread to the roof of multiple small businesses in the shopping center on Encinitas Boulevard, was contained and put out in about 30 minutes, Spaulding said. 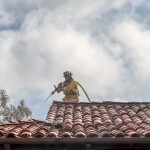 “The only damage to that building itself was contained to the top of the roof, with no structural damage done,” he said. 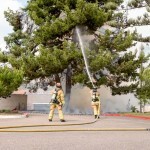 The fire’s origin was near the tree, possibly in a dumpster that was also nearby. 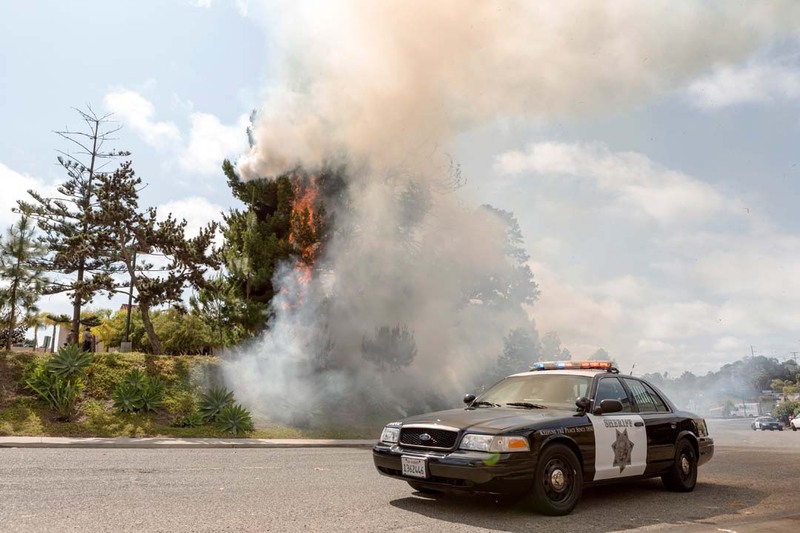 Because the fire took place on church grounds, the investigation into what started the fire was handed over to the Sheriff’s Department’s Bomb and Arson division to determine whether it was a hate crime or accidental. 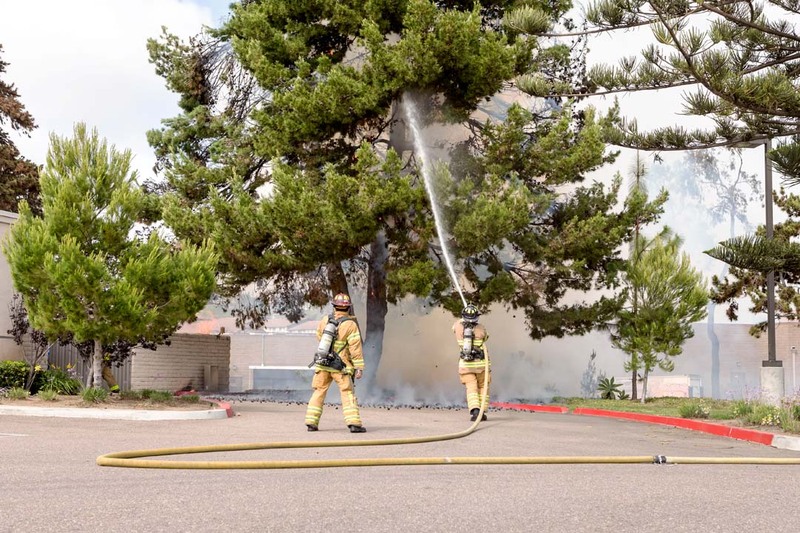 While the investigation is ongoing, a Sheriff’s official said they’ve ruled out the fire as a hate crime.